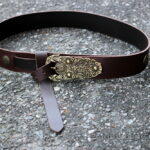 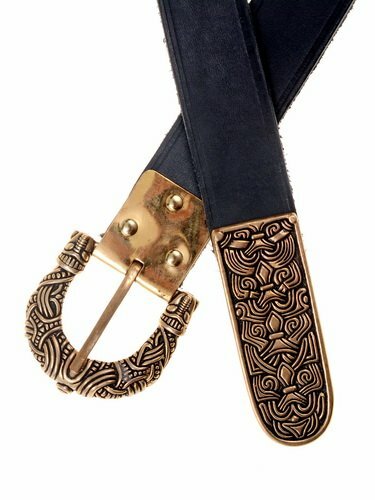 Viking leather belt with buckle from Gnezdovo. 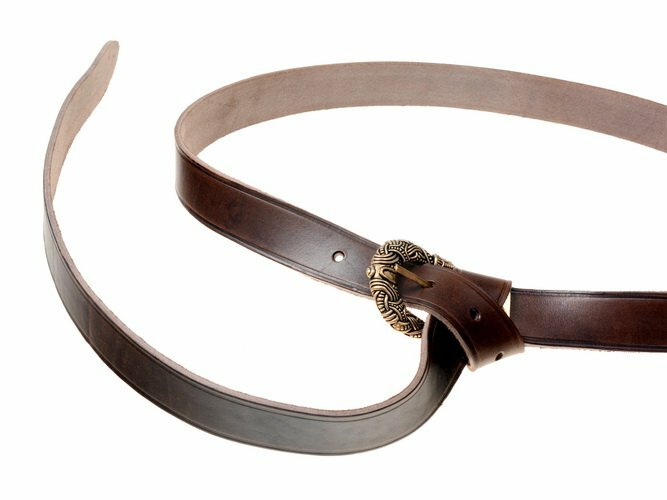 A durable leather belt in 3 cm width from strong grain hide in brown color with faithful bronze buckle after a model from Gnezdovo / Russia, dating to the 10th century. 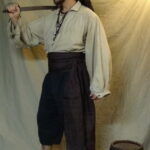 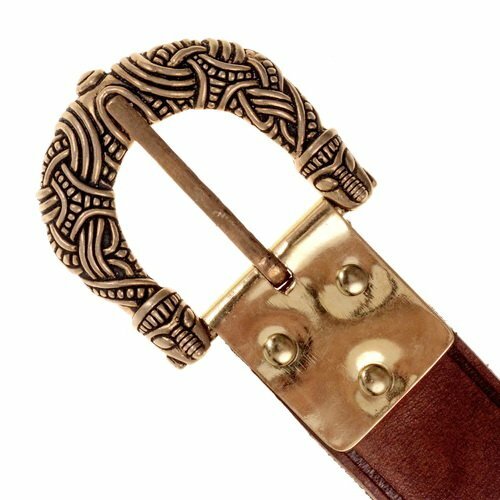 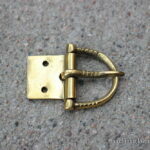 The Viking buckle is made from high quality bronze casting and attached to the belt with a riveted brass plate.